After all the celebrating, many couples get to go on their highly anticipated honeymoon! But, sometimes it can be a little overwhelming to plan a honeymoon. So we are here to help! If you are looking for a honeymoon in the Caribbean, we have some great tips for you. The Caribbean offers some of the best weather year-round, gorgeous beaches, much needed relaxation, and some fun too! Just think, soon you will be sitting on the beach watching the sunset with your loved one! Cheers! 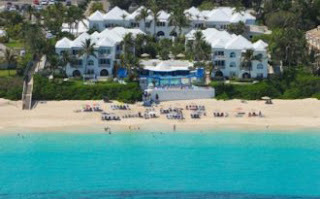 Bahamas resort vacation rental, great for honeymoons! 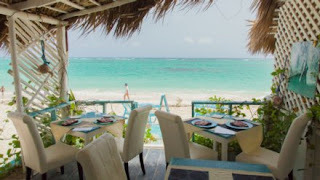 This fantastic chain of islands just southeast of Florida is very popular for honeymooners because of its close distance to the United States and for its beautiful beaches. Another perk, island hopping! Stay at one island, and hop to the rest! You can take a boat ride or a short plane ride to the other islands for the day, or why not split your trip up and stay on more than one island? With some of the most beautiful blue green waters, and the tranquility people are looking for, the Bahamas is top on the list! 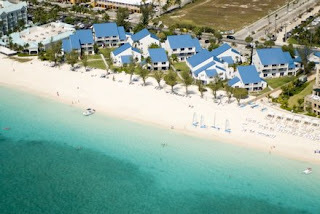 This island is the largest of the Cayman Islands and thus, it is the most visited. It also has some of the most clear water around, making it a great destination for those who want to swim with the sea life! One of the most popular activities is swimming with the stingrays. Don't worry, they are very friendly! Honeymooners will love relaxing on the beach, going for walks along the beach, and visiting some of the hotspots for dinning and drinks! Located on the Easternmost tip of the Dominican Republic, Punta Cana is known for it's beautiful Caribbean Sea water. The water in Punta Cana is warm and tranquil, perfect for swimming! It also has some of the best golf courses in the World. So if golfing is on your list, you might want to try Punta Cana. If golf isn't your thing, spend your days on the beautiful beach with your loved one, take a day trip around the island, and check out some of the great nightlife the island has to offer. Now that you have seen some of the top destinations for honeymoons in the Caribbean, we hope you are even more excited for your wedding and honeymoon! Not sure what honeymoon destination is right for you? Check out over 70,000 vacation rental properties around the world for more ideas! If you aren't sure where to travel, contact our Travel Specialist! We love to help our customers find the perfect place for their honeymoon!